Hunters Estate Agent are delighted to welcome to the market number 21 Open Hill a tastefully finished 3 bedroom terrace property located in a quiet cul-de-sac just off Stillorgan Grove. A mature development with excellent location and a large open green space for residents. It is in turn key condition with a landscaped rear garden and off street parking, early viewing is recommended. Internally the property has been upgraded and now benefits from a C2 building energy rating. The living to the front has a real open fire, feature bay window and access into the dining room/kitchen. The kitchen is fully fitted and now equipped with brand new appliances which are included in the sale. It overlooks the beautiful rear garden which has been tastefully landscaped to be as low maintenance as possible. Upstairs there are three bedrooms and a family bathroom. The light throughout the house is in abundance, the south-facing orientation allows the owners to enjoy the sunny summer days all day long. 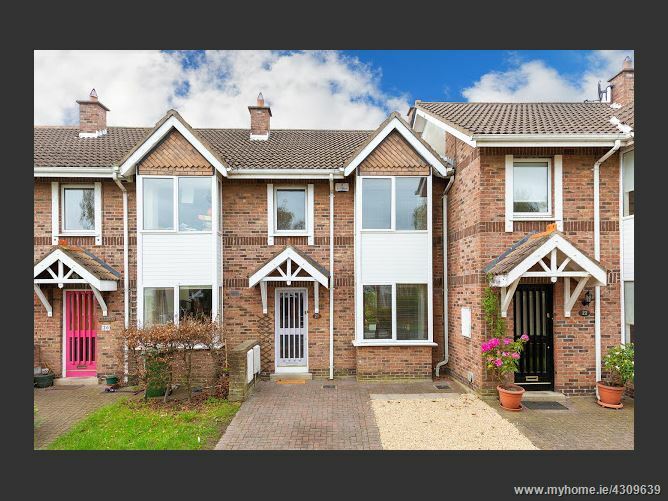 Located in this popular residential development the property is within easy access of Blackrock and Stillorgan villages and the bijou shops and eateries of Foxrock and Cabinteely villages. It is well served by schools including Blackrock College, Sion Hill, St Andrews, Willow Park, Carysfort National School, Hollypark Girls and Boys School and The French School. The numerous bus routes on both Stillorgan Park Road and the N11 (QBC) and the Blackrock Dart station offer easy access to the City Centre. The property is also within easy access of a host of recreational facilities to include Newpark Sports Centre and St Augustine's Park Swimming Pool, Leopardstown Racecourse, Westwood Gym, Stillorgan cinema and Leisureplex. Wooden floor, radiator, ceiling light.